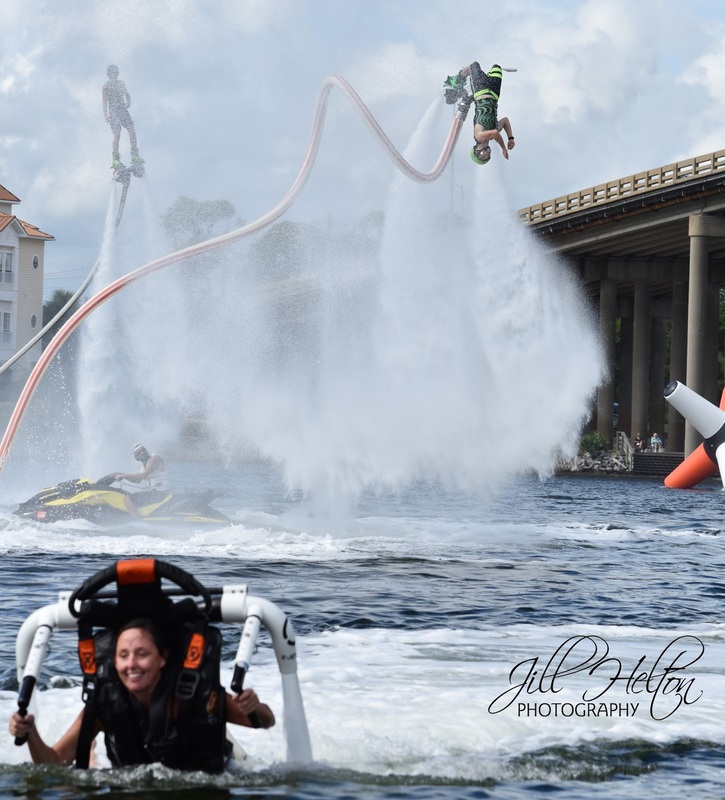 There are many different types of hydroflight products that are used for hydroflying. 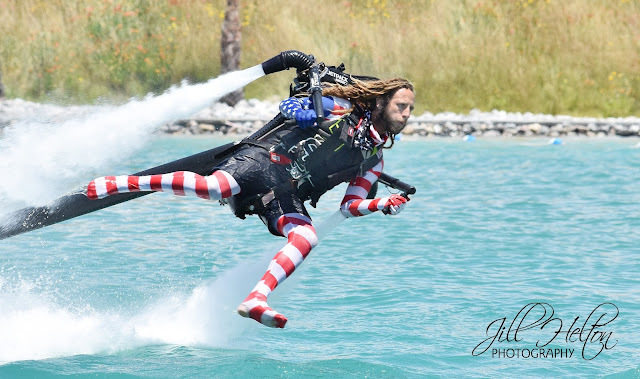 The three most common types are jetboards, jetpacks and jetbikes, but there are others such as Hoverboard and Freedom Flyer. 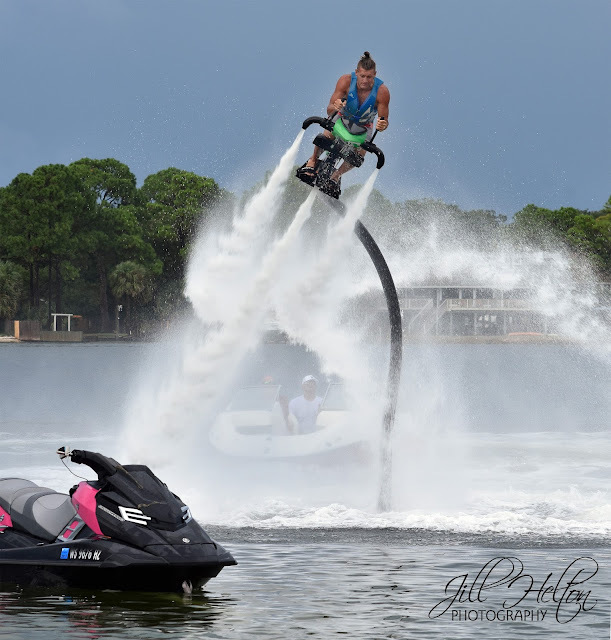 Different varieties of jetboards are manufactured by different companies such as Defy, FlyDive, X-Jets and Zapata Racing. This gives buyers a choice on which style board will suite their style of use. 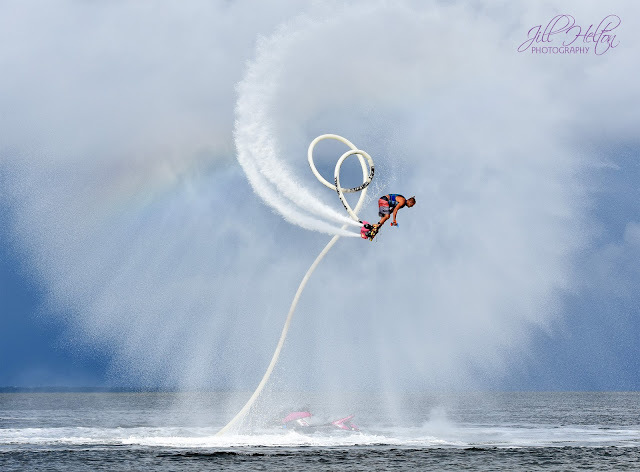 Jetboard is a device that has two jets either side of the board, on top of the board is where the bindings (generally wakeboarding boots) are bolted in and this is where the pilot will strap themselves into. The direction and control of the jetboard comes down to the amount of propulsion being applied, the angle that your feet are pointing and the distribution of your bodyweight. Jetpack is a device that is attached to your back with the two jets situated next to rider's shoulders. Rider is held to the device by a five-point safety/racing harness (same as the ones used in race car seats). Rider controls the direction of flight using the two handles that are attached to the jets on a 90-degree angle, by moving these controls you will change your flight path. Jetbike is a device that has a motorcycle style seat and allows its rider to fly in a position that replicates a motorcyclist’s form. There is nothing to hold you in but two small straps located on the foot pad. Jetbike has one main jet underneath the seat and two smaller jets located at the front of the bike which have handles attached to them to control the direction of your flight path. Freedom Flyer is a device which can actually be used by those who may suffer from a disability to the lower half of their body. The device is in the shape of a chair which has one main jet under the seat and two jets situated on either side of it which has handles attached to either side so the pilot can alter their flight path. Hoverboard is a snowboard style device which only has one main jet situated underneath it. It is ridden with a side-on stance and it directed by the distribution of the pilots own body-weight. Want to learn more about the devices or find your nearest retailer?